Have you ever seen the Colgate clock before? 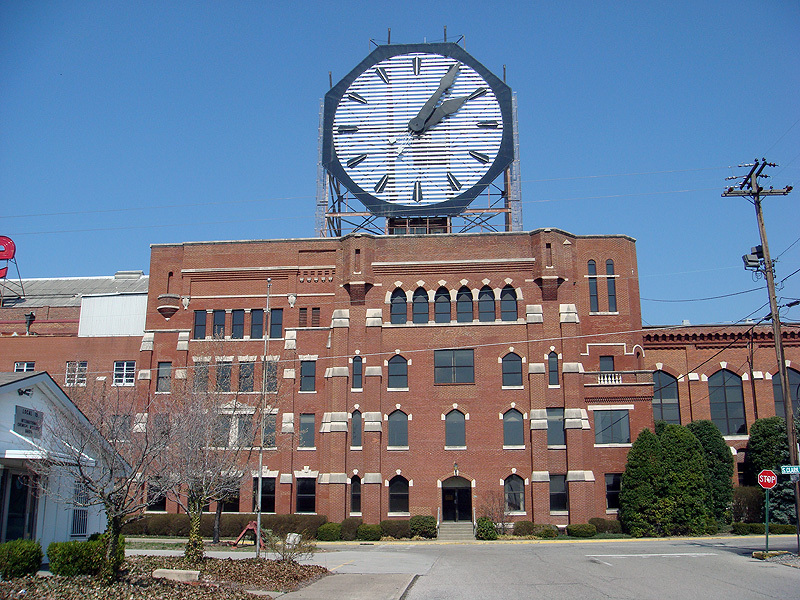 The Colgate Clock, located at a Colgate-Palmolive factory in Clarksville, Indiana, is one of the largest clocks in the world. It has a diameter of 40 feet (12.19 meter). It was first illuminated in Clarksville on November 17, 1924. It is located directly across from Louisville, Kentucky. According to Wikipedia, before the factory was bought by Colgate, it served as the Indiana Reformatory South. It opened in 1847, replacing the state prison which had opened in Jeffersonville in 1821. In 1919 a fire broke out in the prison, causing the need to spend much money to restore it to full operating procedure. Instead, the state of Indiana decided to relocate the prison elsewhere. Colgate happened to be looking for a Midwestern location following the post-World War I boom, and heard of the prison's availability. The state sold the building to Colgate in 1923. Prisoners, in fact, helped with the conversion from prison to soap-making plant, and even stayed in cells at the location while the conversion took place.